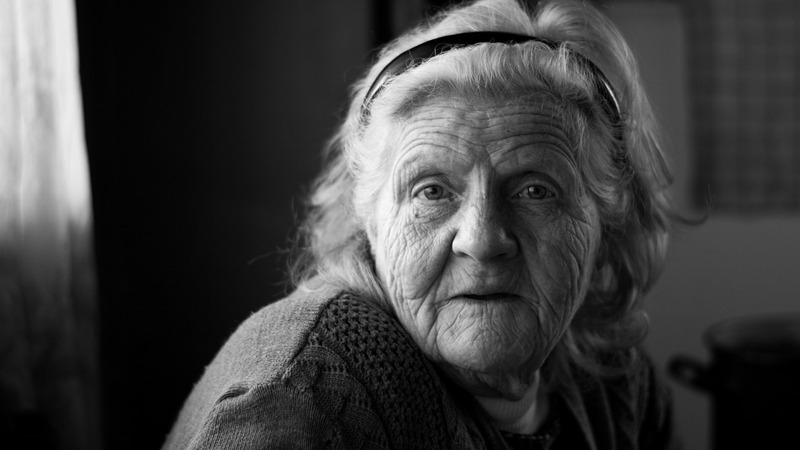 This powerful black and white naturally lit environmental portrait features a woman who has lived life. She peers directly into the camera with the smallest hint of a smile. The pot to her left is the hint she has been photographed in her kitchen.